In the wake of today’s concert, the amount of money in the We Love Manchester Emergency Fund has risen to more than £10 million, nearly all of which will be used “to support those who have been injured or bereaved” in last month’s bombing at an Ariana Grande gig. Much of the money came from various pop stars; Manchester’s football clubs also pitched in, as did hundreds of thousands of Brits donating £5 via SMS. The fund is being operated in conjunction with the British Red Cross, which is encouraging further donations. As with nearly all high-profile emergencies and disasters, this is not an objectively good cause in terms of the best use for scarce dollars and pounds. The disaster has happened, the damage has been done. Money can’t bring the dead back to life, and the overwhelming majority of the hospitalization costs will be borne by the state, rather than the victims personally. 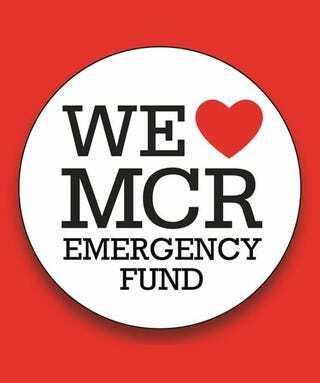 Still, there is much more to giving than the simple movement of money to where it is needed most, and the We Love Manchester Emergency Fund does serve a number of purposes. First, and most importantly, it provides a mechanism for communities to come together in a moment of great tragedy. It is normal, when someone dies, for that person’s family and friends to come together in various ways, including a formal funeral or memorial service, and to provide what succor and support they can for those most devastated by the death. Most of the time, that support is not financial. But in this case, the affected communities were particularly large: not only the city of Manchester (and even the country of Britain), but also what you might call the international community of pop stars, who felt, with good reason, that they were the targets of the attack. In this situation, then, what is Manchester United Football Club or Justin Bieber to do? Donating to the Emergency Fund, even when there is no longer much of an emergency, is a way of signaling that you’re part of the community and that you want to be part of the healing process. It’s analogous, in that sense, to the act of buying flowers to bring to a funeral. The emergency fund is also a natural home for things like the proceeds from ticket sales to the big concert. No one, after all, wants to be seen profiteering from this event, and giving away the tickets for free would only have emboldened scalpers. On top of that, the fund helps anybody, inside or outside the UK, feel like they’re doing something when faced with unspeakable evil. There’s a long history of these funds; one man, Ken Feinberg, has even made something of a career out of dispensing millions of dollars to victims of 9/11, Virginia Tech, Sandy Hook, the Boston Marathon bombing, and other tragedies. In that sense, the Manchester fund is nothing new, and clearly scratches a public itch. Feinberg himself is very open about the fact that these funds are deeply unfair: Why should a family which lost a child to a bombing receive millions, when a family who lost a child to cancer, or to a drunk driver, gets nothing? The reason, ultimately, is that the fund exists more for the sake of the givers than it does for the sake of the recipients. And that’s fine, I guess. But are a couple of things which irks me, here. One of them is the involvement of the Red Cross, which is not only administering the fund but also leveraging its sterling reputation to persuade people to give money to it. Giving money to the Manchester fund is a dreadful way of giving money to the Red Cross: not only is it all earmarked, which is bad enough, but on top of that I don’t think it’s even going to the Red Cross at all. As far as I can tell, the Manchester fund is not part of the Red Cross; instead, the Red Cross is lending its existing fundraising apparatus to a new entity, taking a small cut, and giving the rest to a nascent organization which doesn’t have so much as a Twitter account yet. Again, that’s not a dreadful thing. I’m pretty sure that all intentions here are honorable, and that the fund will disburse its funds pretty rapidly to various victims and their families. £10 million isn’t enough that you need to bring in someone like Ken Feinberg to make multi-million-dollar decisions; instead, it’s enough to give a bunch of six-figure sums to families which have been visited by tragedy, and then close down. But still, it’s not good if people think that they’re giving to the Red Cross when they’re not. I don’t like the messaging, either, on Twitter and also on the big video screens at the concert. It’s not saying “if you want to give, here’s how to do so,” but is rather saying “you should give, and we want as many people to give as much as possible, and here’s how to do so, please keep those donations coming”. It’s clearly positioning the Emergency Fund as something akin to the Red Cross more generally, or other non-profits: something which scales, where “every penny counts,” where the more money it has, the more good it can do for more people. And it’s reinforcing the false but popular notion that giving money “for” or “to” a certain event, after it has occurred, is in general a useful or helpful thing to do. So for all that I see the purpose the fund is serving, there is still a part of me which would love it if things like the Manchester concert could be celebrated for what they are, rather than invariably being turned into the means to some fundraising end. The concert was great, and emotional, and brought a city and a country together in a moment of necessary catharsis. It was exactly the right reaction to last month’s attack. Turning it into a fundraiser makes it seem like the fund is more important than the concert. And that is simply false.